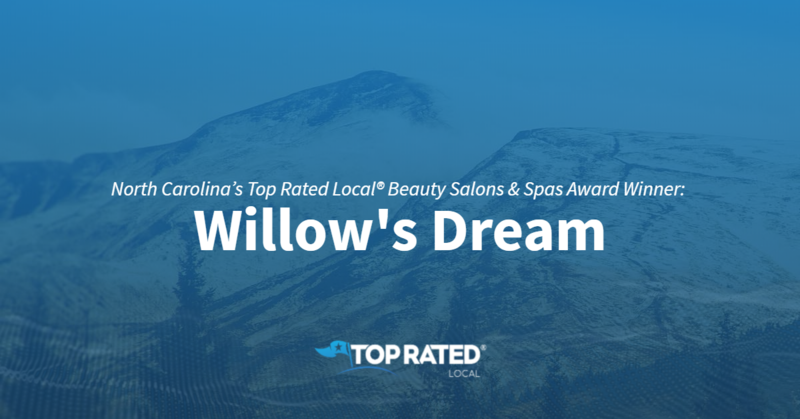 Top Rated Local® is pleased to announce that Willow’s Dream is a 2019 award winner for beauty salons and spas in North Carolina! From haircuts to extensions, Willow’s Dream in Asheville has what it takes to make you feel beautiful inside and out. Willow’s Dream has received hundreds of reviews on five verified sites with an average rating of 4.74 stars, earning them a fantastic Rating Score™ of 98.36 and a 2019 Top Rated Local award for ranking among the top 10 beauty salons and spas in North Carolina! 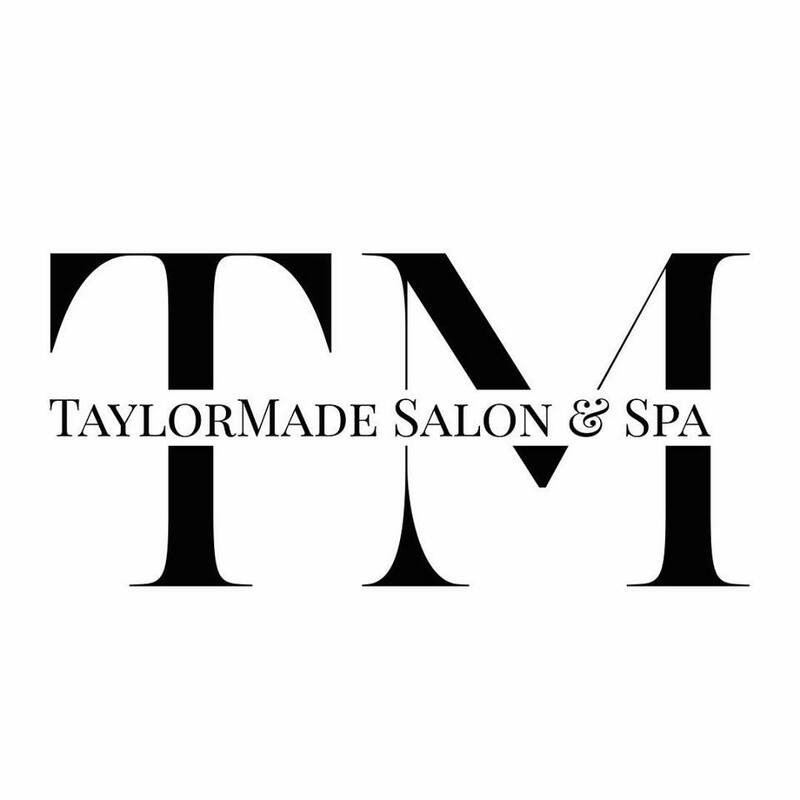 “[This is] by far my absolute FAVORITE salon. Shelby (The Hair Witch) never fails to amaze me! She is always flexible with scheduling, and always manages to deliver exactly what I want. I have been seeing her for about two years now and have no plans to change! I don’t feel like I’m at a hair appointment with her; I feel like I’m chatting with a friend while being pampered. The adorable gift shop downstairs offers wine, beer and local gifts. If you’re looking for a professional, experienced hair stylist who specializes in blonde and balayage, Shelby is your go-to!” – Sarah B. We wanted to learn a little more about Willow’s Dream and its impressive online reputation, so we took a few minutes to talk with the receptionist, Liz McGuirl. The first thing we wanted to know was what it is that sets Willow’s Dream apart from their competition in North Carolina. Liz told us that Willow’s Dream embodies the Asheville culture and community; it’s a relaxing, friendly place. 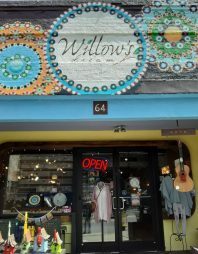 The team at Willow’s Dream loves supporting local artisans. Liz went on to tell us that, in addition to the salon, Willow’s Dream has a gift shop and a rooftop patio —where they book events and where clients are welcome to enjoy their complimentary beverage before or after their appointment. We also asked Liz what their mission is at Willow’s Dream and how they work to make the world a better place. Liz shared that their mission is to make sure that every client leaves feeling 1,000-percent better than when they came in from the inside out. Liz attributes Willow’s Dream’s strong online reputation to the fact that their stylists encourage every client in their chair to leave a review. Outside of building a powerful online reputation, Willow’s Dream has gotten their name out there through word of mouth, by being active in the downtown social scene, through their awesome support system, by ranking number one on Google for “hair and nail salon” and through the efforts of their social media manager. Congratulations to the team at Willow’s Dream for being a 2019 Top Rated Local award winner, and thank you so much, Liz, for taking the time to speak with us! We highly recommend Willow’s Dream in Asheville. Visit their website today! Top Rated Local® is pleased to announce that Envy Salon is a 2019 award winner for beauty salons and spas in South Dakota! From standard haircuts to blowouts and hair color, when you want to look and feel your best, Envy Salon is the salon to turn to in Sturgis. Envy Salon has received dozens of reviews on three verified sites with an average rating of 4.96 stars, earning them a tremendous Rating Score™ of 95.61 and a 2019 Top Rated Local award for ranking among the top 10 beauty salons and spas in all of South Dakota! “Jessica will say she’s no miracle worker, but I beg to differ. She did an awesome job fixing my hair! I will definitely be going back.” – Alyssa A. We wanted to learn a little more about Envy Salon and its out-of-this-world online reputation, so we took a few minutes to talk with Stylist Jessica Loobey. The first question we had for Jessica was what sets Envy Salon apart from their competition in South Dakota. Jessica told us that they are very accommodating for every customer. Customer service is huge for the team at Envy Salon, and they stay late and work weekends. Jessica went on to tell us about the great camaraderie in the office with the owner and all of the stylists. We also wanted to know what their mission is at Envy Salon and how they work to make the world a better place. Jessica told us that they aim to make people feel better than when they came in and to extend confidence to the customer. Jessica attributes Envy Salon’s strong online reputation to their commitment to being honest with customers, to their persistence and happy attitudes, and to their realistic delivery. Outside of building a powerful online reputation, Envy Salon has gotten their name out there through word of mouth, community involvement — including at the local high school — Facebook and radio ads. Congratulations to the team at Envy Salon for being a 2019 Top Rated Local award winner, and thank you so much, Jessica, for taking the time to speak with us! 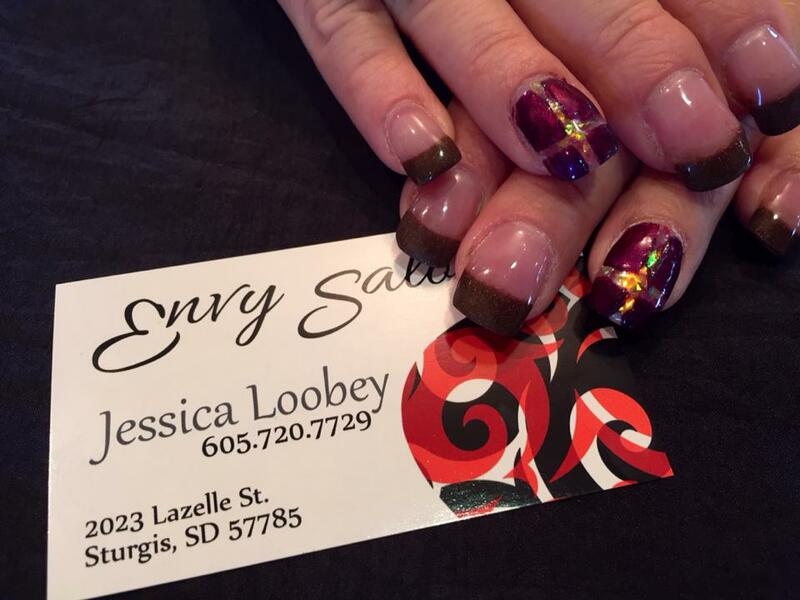 We highly recommend Envy Salon in Sturgis. Visit their website today! Top Rated Local® is pleased to announce that Progressions Salon and Spa is a 2019 award winner for beauty salons and spas in North Carolina! Whether you’re looking for a haircut, eyelash extensions, a massage or a manicure, Progressions Salons and Spa in Greensboro has what it takes to help you look and feel your best. Progressions Salon and Spa has received more than 100 reviews on four verified sites with an average rating of 4.66 stars, earning them a stellar Rating Score™ of 94.61 and a 2019 Top Rated Local award for ranking among the top 10 beauty salons and spas in all of North Carolina! “I went to the salon today with a bad coloring job. Brenda was amazing; she took her time and helped me. I left the salon so happy!! I am so very thankful for the entire staff. They were so understanding and made sure I Ioved my hair when I left.” – Stephanie N.
We wanted to learn a little more about Progressions Salon and Spa and how they managed to build such an impressive online reputation, so we took a few minutes to talk with the owner, Lise Cooke. The first question we had for Lise was what sets Progressions Salon and Spa apart from their competition in North Carolina. Lise points to the fact that they are very educated on the latest trends. That helps them provide their customers with what they want, which is of the utmost importance to them. Lise attributes Progressions Salon and Spa’s strong online reputation to their commitment to education, teamwork and friendliness, and told us that her and her staff are good at what they do, experienced and take pride in their customer service. Customers at Progressions Salon and Spa leave feeling taken care of and beautiful. Outside of building a powerful online reputation, Progressions Salon and Spa has spread the word about who they are and what they do through their referrals program and social media presence; however, word of mouth is their most important avenue for new business. Lise told us that the great service they provide has led to loyal customers. Congratulations to the team at Progressions Salon and Spa for being a 2019 Top Rated Local award winner, and thank you so much, Lise, for taking the time to speak with us! We highly recommend Progressions Salon and Spa in Greensboro. Visit their website today! Top Rated Local® is pleased to announce that Salon Savvy is an award winner for beauty salons & spas in 2019. If you are looking for a beauty salon that will work hard to get you looking your best, look no further than this award-winning company! Salon Savvy has received many overwhelmingly positive reviews across four different verified sites with an average rating of 4.90 stars, earning them an impressive Rating Score™ of 97.03 and a 2019 Top Rated Local award for ranking as one of the top 10 beauty salons and spas in Kansas! “What a great salon! My kids absolutely love ‘Miss Nancy,’ and she always knows exactly what we need to come out of there looking perfect! The salon has a fun atmosphere and very reasonable prices. Thanks for providing us with a great place for the whole family to enjoy!” – K.J. It is because of excellent reviews like this that Salon Savvy is now able to call themselves a Top Rated Local award winner! We were excited to learn all about how Salon Savvy has been able to build such an impressive reputation, so we sat down with the owner, Nancy Hall. Their team works hard to help to make people feel beautiful and good about themselves. Congratulations to Salon Savvy for being a 2019 Top Rated Local award winner, and special thanks to Nancy for taking the time to speak with us! 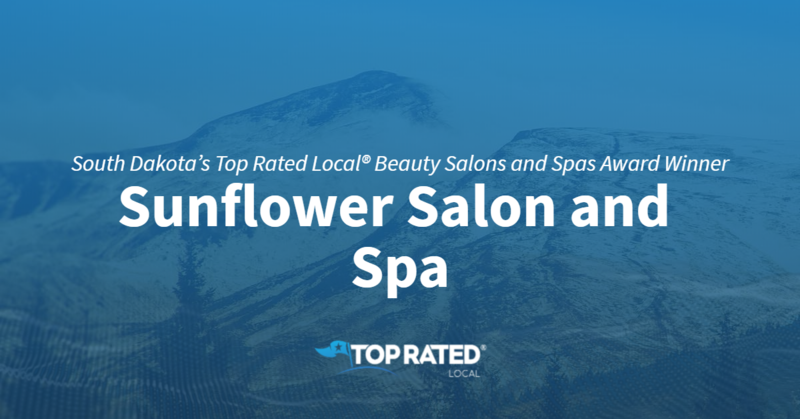 Top Rated Local® is pleased to announce that Sunflower Salon and Spa is not only one of the top five salons in South Dakota, but one of the top 100 businesses in the state overall! “The girls at Sunflower were amazing. They let us bring in beverages, music- anything we wanted to make getting ready FUN! They also were so accommodating. On my wedding day, I decided I didn’t like the hairstyle we had decided on at my hair trial. My stylist redid my hair THREE times until it was exactly how I wanted and it was perfect! Other stylists also redid other girls’ hair as well with a positive attitude and no additional charge. I am so glad we got our hair done at the Sunflower!” -Alisha W.
That’s just one of the many outstanding reviews Sunflower Salon and Spa has received on verified review sites, making them a 2019 award winner with a 97.32 Rating Score™ and a 4.83 average star rating. Jesse Johnson, the owner of Sunflower Salon and Spa, took a few minutes to speak with us about her business’ awesome online reputation. Congratulations to the team at Sunflower Salon and Spa for being a 2019 Top Rated Local award winner, and thank you so much, Jesse, for taking the time to speak with us! We highly recommend Sunflower Salon and Spa in South Dakota. Visit their website today! 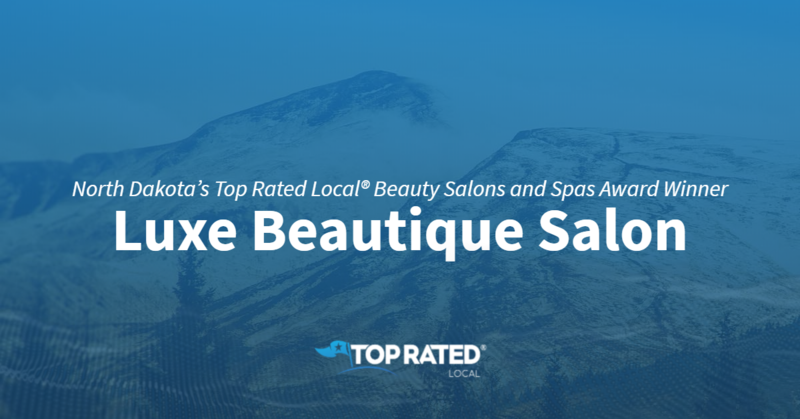 Top Rated Local® is pleased to announce that Luxe Beautique Salon is not only one of the top three beauty salons and spas in North Dakota, but one of the top 20 businesses in the entire state! “I highly recommend Luxe Beautique Salon. Megan and her staff go above and beyond to make you feel comfortable and relaxed. They always have time for my questions, and they get me in when I am available for any service I need. Thank you to Megan and her staff at Lux. I always look forward to my next appointment at Luxe. See you soon!” -Paulette T.
That’s just one of the more than 400 incredible reviews Luxe Beautique Salon has received on verified review sites, earning them a 97.59 Rating Score™, a 4.96 average star rating, and a 2019 Top Rated Local award! We got a chance to speak with Megan Bender, the owner of Luxe Beautique Salon, all about her business’ exemplary online reputation. 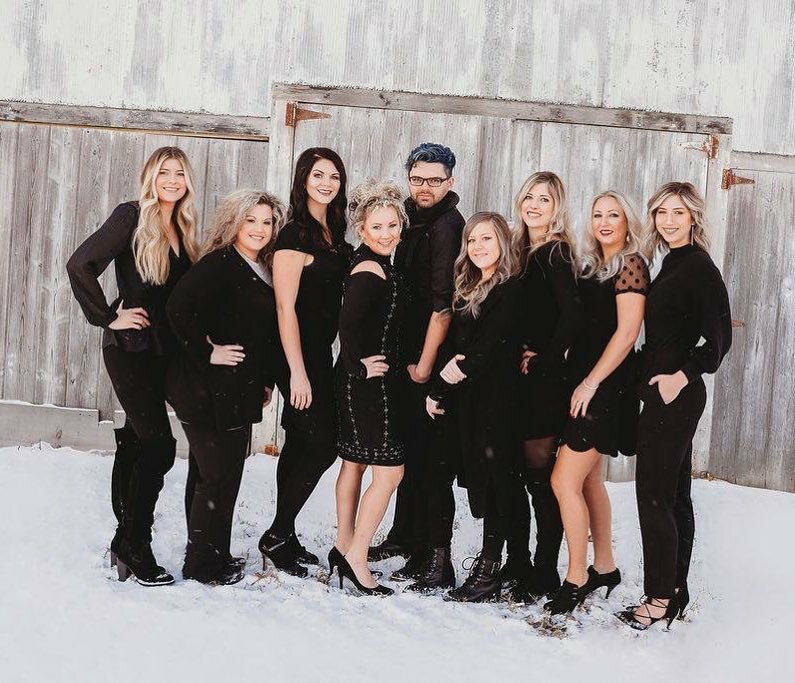 Congratulations to the team at Luxe Beautique Salon for being a 2019 Top Rated Local award winner, and thank you so much, Megan, for taking the time to speak with us! We highly recommend Luxe Beautique Salon in Bismarck. Visit their website today! Top Rated Local® is pleased to announce that Tres-Chic Salon is an award winner for beauty salons & spas in 2019. If you are looking for a beauty salon & spa that will get you to look and feel your best, look no further than this award-winning company! Tres-Chic Salon has received many overwhelmingly positive reviews across five different verified sites with an average rating of 4.78 stars, earning them an impressive Rating Score™ of 97.78 and two 2019 Top Rated Local award for ranking as one of the top 15 businesses and one of the top three beauty salons & spas in all of South Dakota! “[I have been a customer for] 10-plus years, and I can’t imagine going to anyone else! She has mastered my finicky hair and somehow remembers everything we have ever done to it. She is continually educating herself and is always excited to try new things! Cassie is very particular, and I always feel like she is truly focused on me when I am in her chair. She always makes me look and feel great!” – L.H. It is because of excellent reviews like this that Tres-Chic Salon is now able to call themselves a Top Rated Local award winner! We were excited to learn all about how Tres-Chic Salon has been able to build such an impressive reputation, so we sat down with the owner, Cassie Reuer. We also learned that even though it is not required in South Dakota, the crew at Tres-Chic Salon does a considerable amount of continuing education. They do this because they want to offer their clients the best, and they know they can do that by keeping up with the latest education, trends, and products. Tres-Chic Salon has certainly managed to build an impressive online reputation. We asked Cassie what kinds of marketing strategies this salon has used over the years. We learned that they utilize social media platforms, like Facebook and Instagram, to keep in touch with their community. Each stylist has their own profile on Facebook or Instagram to showcase their work. Offline, they show gratitude to their clients by donating to the community through different events and charities. Congratulations to Tres-Chic Salon for being a 2019 Top Rated Local award winner, and special thanks to Cassie for taking the time to speak with us! Top Rated Local® is pleased to announce that Prestige Salon And Spa is an award winner for beauty salons & spas in 2019. If you are looking for a beauty salons & spa that will work to make you feel and look your best, look no further than this award-winning company! Prestige Salon And Spa has received many overwhelmingly positive reviews across four different verified sites with an average rating of 4.81 stars, earning them an impressive Rating Score™ of 96.15 and two 2019 Top Rated Local award for ranking as one of the top 100 businesses and one of the top five beauty salons & spas in South Dakota! It is because of excellent reviews like this that Prestige Salon And Spa is now able to call themselves a Top Rated Local award winner! We were excited to learn all about how Prestige Salon And Spa has been able to build such an impressive reputation, so we sat down with the owner, Chris Vickers. The first thing we wanted to know was what it is that makes Prestige Salon And Spa stand apart from their local competitors. Chris told us that customer service is vital to them. They are able to stand out because they are a full-service salon and spa. They are proud of being a one-stop-shop for their clients. With as impressive a reputation as Prestige Salon And Spa has, it is no wonder word of mouth has been their primary source for new clients. In fact, Chris tells us they really don’t do much other marketing. They have had some radio spots, but word of mouth from the stylists is where most of their new clients come from. Congratulations to Prestige Salon And Spa for being a 2019 Top Rated Local award winner, and special thanks to Chris for taking the time to speak with us! 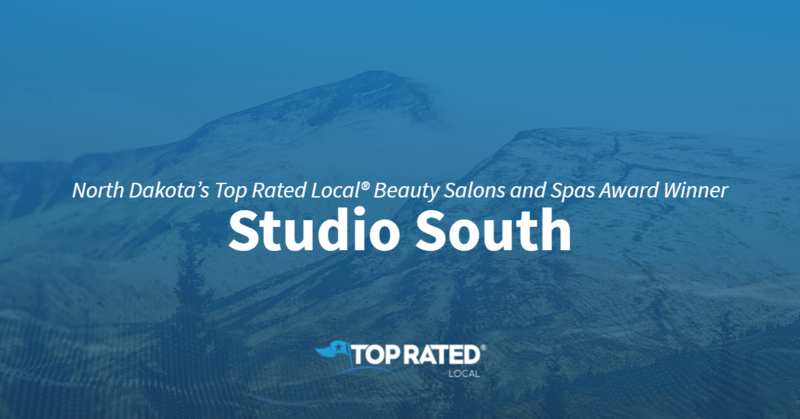 Top Rated Local® is pleased to announce that Studio South is not only the number one beauty salon in North Dakota, but one of the top 20 businesses in the state overall! “I’ve trusted only Sara with my hair for the last 10 years! Even when I move to Fargo I will still drive the hour just to have Sara do my hair. She knows what’s best for her clients and she is always honest! She’s truly the BEST!” -Kayla D.
Amber Stegman, the owner of Studio South, took some time to speak with us about her business’ remarkable online reputation. Congratulations to the team at Studio South for being a 2019 Top Rated Local award winner, and thank you so much, Amber, for taking the time to speak with us!